This exhibition celebrates Black History Month, with a particular focus on the African community in Milton Keynes. 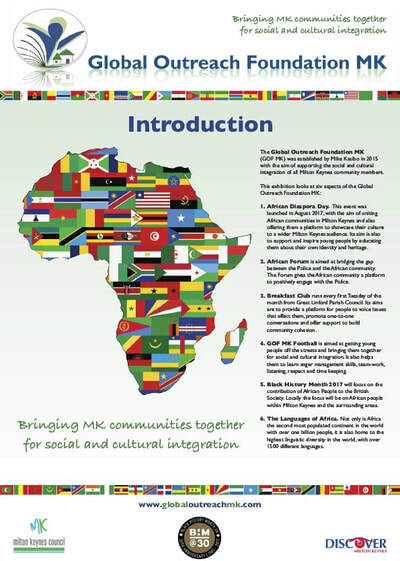 ​Living Archive MK worked with Global Outreach Foundation MK to raise awareness of the work they do in Milton Keynes. 1. 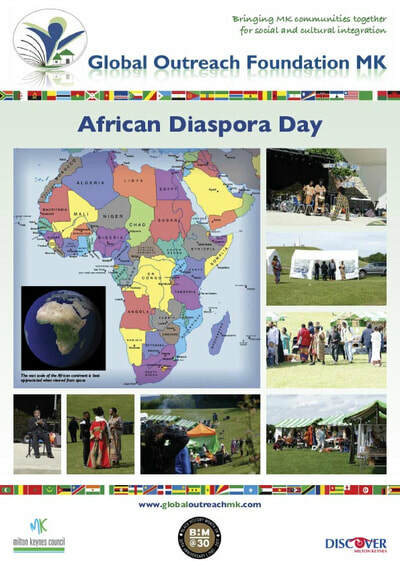 African Diaspora Day. 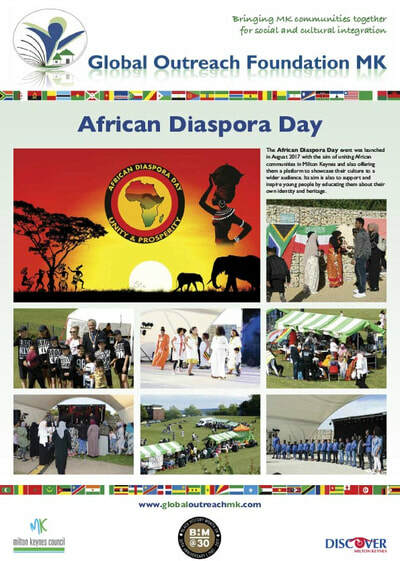 This event was launched in August 2017, with the aim of uniting African communities in Milton Keynes and also offering them a platform to showcase their culture to a wider Milton Keynes audience. Its aim is also to support and inspire young people by educating them about their own identity and heritage. 2. African Forum is aimed at bridging the gap between the Police and the African community. 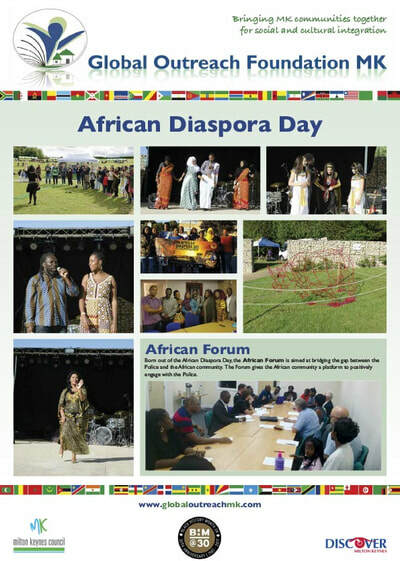 The Forum gives the African community a platform to positively engage with the Police. 3. 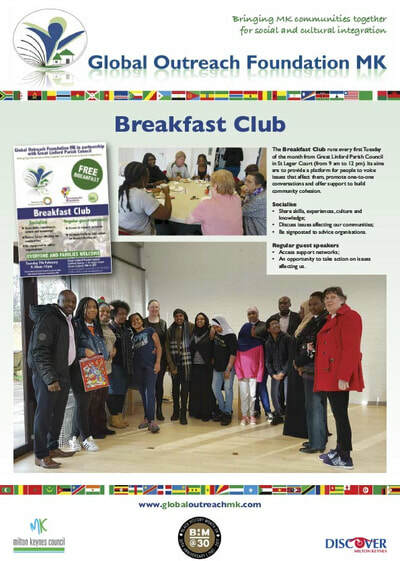 Breakfast Club runs every first Tuesday of the month from Great Linford Parish Council. Its aims are to provide a platform for people to voice issues that affect them, promote one-to-one conversations and offer support to build community cohesion. 4. 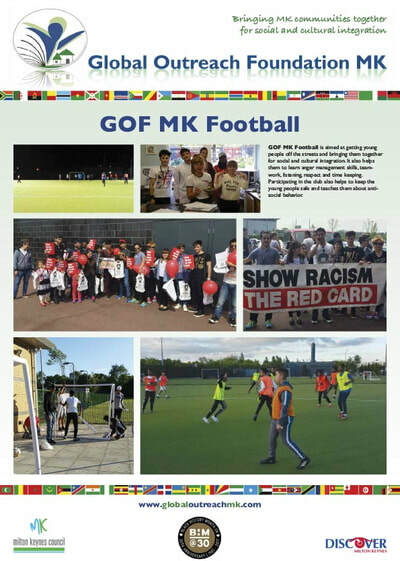 GOF MK Football is aimed at getting young people off the streets and bringing them together for social and cultural integration. It also helps them to learn anger management skills, team-work, listening, respect and time keeping. 5. 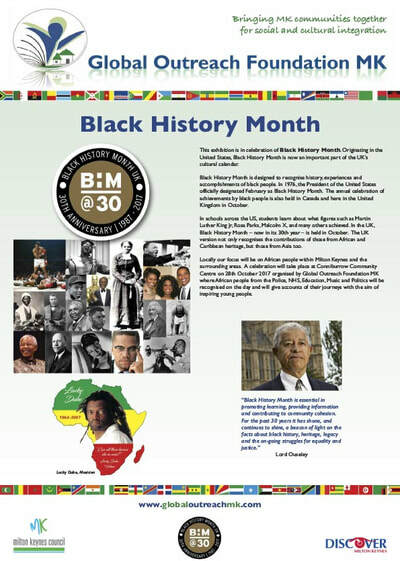 Black History Month 2017 will focus on the contribution of African people to the British society. 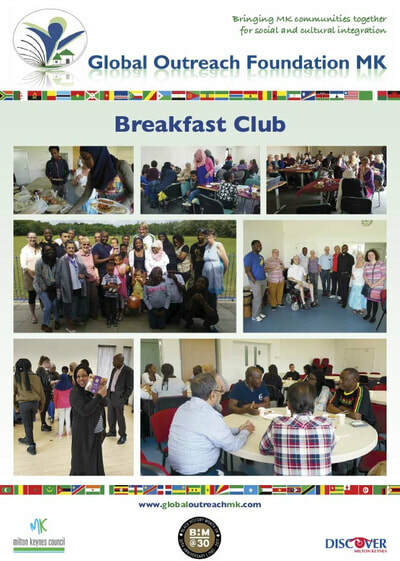 Locally the focus will be on African people within Milton Keynes and the surrounding areas. 6. 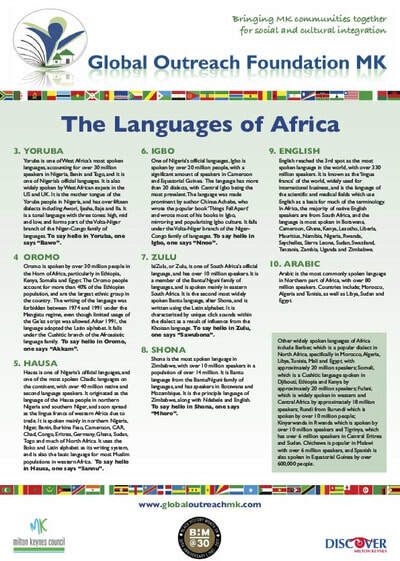 The Languages of Africa. 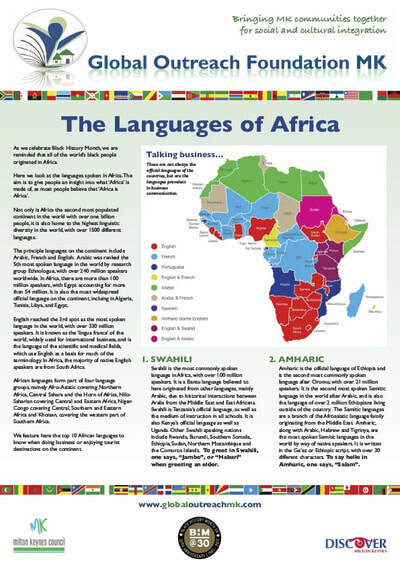 Not only is Africa the second most populated continent in the world with over one billion people, it is also home to the highest linguistic diversity in the world, with over 1500 different languages.